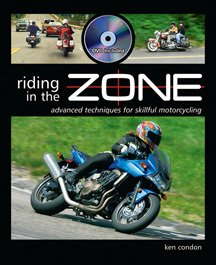 Riding In The Zone TV will introduce you to people and happenings in the motorcycling community. We’ll also give you insights and tips on how to be the best rider you can be, no matter what bike you ride or your level of experience. 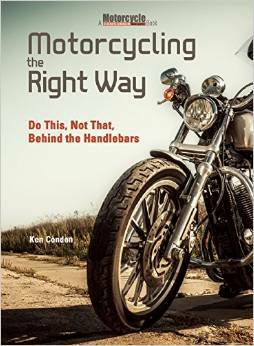 The idea is to shed light on all manner of motorcycle-related topics. We’re going to share strategies and techniques that can make riding safer and more fun. We’ll go on field trips to dealerships, racetracks and attend some cool motorcycle events. We’ll invite other riders to join us in the studio to hear their stories. We’ll also have industry experts discuss current issues related to the future of motorcycling. For those of you who want to learn to ride, we’ll outline the steps you’ll take to become a motorcyclist … and we’ll offer some basic maintenance tips and help you learn about motorcycle travel. Whether you love the speed and grace of the racetrack …. or the freedom of open spaces when touring or adventure riding, Riding In The Zone will be a window into the wide world of motorcycling. It’s going to be fun, and I hope you’ll come along for the ride. Episode Three: An interview with motorcycle philosopher and avid rider, Adam Novitt. Episode Four: An interview with Long distance rider and MS advocate, Paul Pelland.